The ketogenic diet revolves around fat. You need to cut down on carbs while ensuring that your body gets plenty of healthy fats. The goal is to force your body to start burning fat for energy instead of relying on the glucose that it gets from carbs. Unfortunately, many people struggle to find ways to add enough fat to their diet. You can only eat a certain amount of cream cheese or soft cheese before you get sick of dairy. With keto fat bombs, you can get your dose of fat and avoid sugar cravings. These sweet treats are the perfect solution for sticking to your diet. What Are Keto Fat Bombs and Why Do You Need Them? What is a fat bomb? It is a snack packed with fats. Most fat bombs are shaped in small balls or muffins. Depending on the ingredients, you may simply mash everything together and roll the mixture into balls or you may use a muffin tray. Fat bombs are also typically sweet. 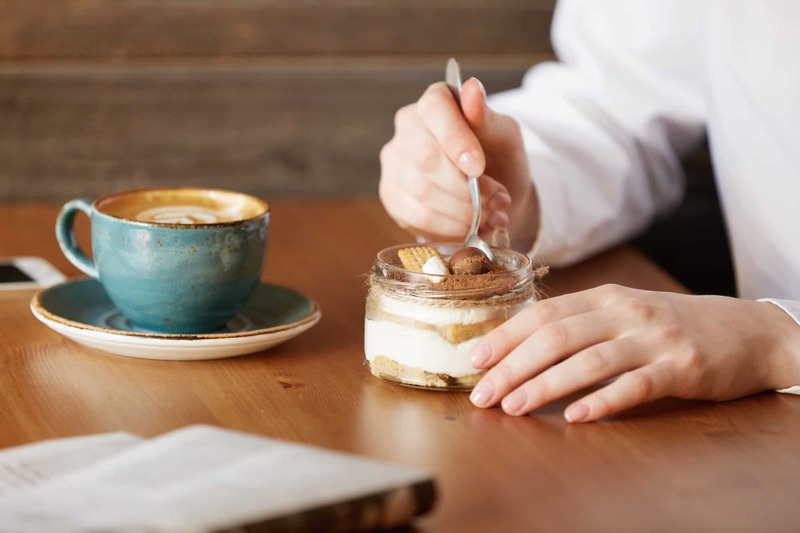 They are often consumed as snacks, as many of these recipes are designed to recreate the flavor and taste of popular unhealthy snacks, such as cheesecake or cookies. Low-carb sweeteners are common ingredients in these recipes. They help make the treat a little sweeter without adding carbs. Stevia is a common choice. However, there are other options, including monk fruit sweetener and erythritol. Besides sweeteners, these treats often include seeds and nuts. Seeds and nuts are great sources of healthy fats and are commonly used in various snacks to provide a crunchy texture. Most fat bombs are made with ingredients that will come apart or soften if they are not refrigerated. They also have a shelf life. Depending on the recipe, you should try to eat your bombs within several days after making them. Why should you consider using fat bombs? They help keep the diet interesting. When you get tired of eating the same foods every day, you are more likely to make unhealthy food choices. If you want to maintain ketosis, you need to continue watching how many carbs you eat each day. Fat bombs make it easier to stay on track. They can also be used for a variety of different purposes. You can use fat bombs as snacks, side dishes, and meal replacements. Some people use them as fuel for their exercises. You get fat from almost everything that you eat. However, there are different types of fat, and certain foods contain more than others. Saturated and unsaturated fats should be part of any healthy diet. These fats also contain omega fatty acids that your body needs to maintain optimal health. The average person consumes too much omega-6 fatty acids from processed foods and saturated fats, such as cream, butter, and lard. Omega-3 fatty acids are found in natural sources of polyunsaturated fat, such as fish and chia seeds. By eating a balance of these fats, you can ensure that you get a healthier ratio of omega-3 to omega-6 fatty acids. Healthy saturated fats are found in meat, nuts, dairy products, eggs, and coconut oil. You can get healthy unsaturated fats from olive oil, avocados, fish, seeds, and fish oil. The fats that you want to avoid include processed fats, including processed polyunsaturated fats and processed trans fats. The processed unsaturated fats may be found in various vegetable oils, including canola oil, soybean oil, corn syrup, and peanut oil. Processed trans fats are found in almost all processed foods, fast food meals, margarine, and baked goods. While you can include some of these unhealthy fats in your diet, your keto fat bombs should primarily contain healthy fats. Stick with the healthy sources as the base ingredients for your bombs to ensure that you still get the nutrition that your body needs. No matter what ingredients you use, the basic structure of a fat bomb remains mostly the same. These treats include three basic ingredients – healthy fats, flavoring, and texture. The first step in making a fat bomb is to choose the fat. The fat holds everything together. The fat is the base of the bomb and it needs to be something that can harden when refrigerated. Butter, coconut oil, and cream cheese are the ingredients that are most commonly used for the fat base. You may also use lard or hard cheese. However, these ingredients tend to contain more carbs and unhealthy fat. There are also several non-dairy options. You can use ghee, coconut cream, cocoa butter, tree nut cheese, or coconut oil. The next step is to choose your remaining ingredients. The ingredients that you choose depend on the flavor and texture that you want. If you want a crunchy fat bomb, you should add nuts or seeds. You can also sweeten the fat bomb with low-carb sweetener or maple syrup. Chopped fruit is also often used in fat bombs, especially blackberries and blueberries. You may also add chopped pieces of cooked meat, such as bacon. Cocoa powder is used to create chocolate fat bombs, while vanilla is occasionally used for flavoring. After choosing your ingredients, mix everything together in a large bowl. You may need to melt your fat base before combining the ingredients. When you are done making the bombs, the fat should harden in the fridge. Roll the mixture into balls and place on a tray or a container. Place the balls in the fridge until the fat base hardens. Instead of rolling the mixture into balls, you may spread it in a baking pan to create keto fat bars. After the mixture hardens in the fridge, you can cut it into bars and place them in a separate container. 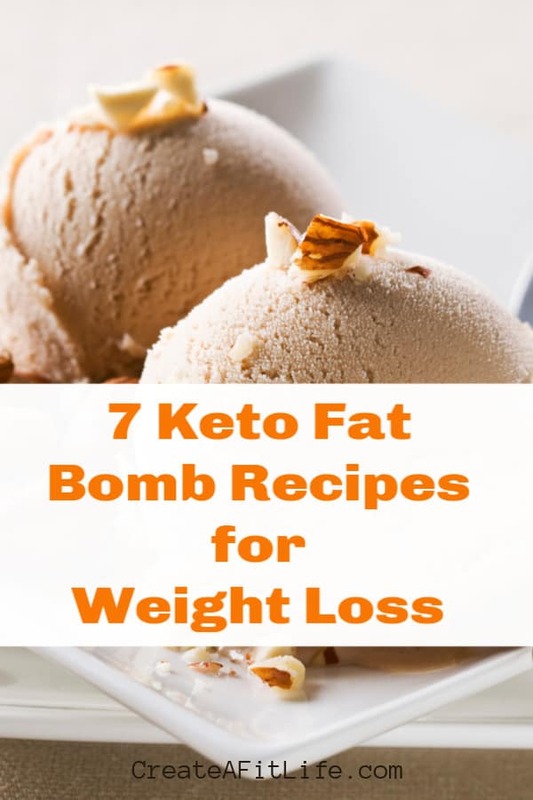 If you want to stick to the keto diet, you should try using keto fat bomb recipes. These tasty treats can be a helpful way to avoid unhealthy snacks and keep you full between meals. When consuming these fat bombs, remember to pay attention to the total carbs, fat, and protein per serving. Even if you are just having a snack, these treats still count toward your totals for the day. Cream cheese is a common ingredient for keto snacks. It has a sweet flavor that may keep you from craving sugar, and it holds ingredients together. With the basic keto fat bombs cream cheese recipe, you can get your fill of cream cheese and choose your own ingredients. Allow the cream cheese to soften. This may take between 15 and 30 minutes. You now have a fat base. If you want a sugary texture, you can add some almond flour and sweetener. Another option is to add soft cheese to the mixture, which helps create a good base for meal replacement fat bombs. With a handful of cream cheese, you can mix almost anything. You can add shredded chicken, pork, or fish. You can add chopped bacon or nuts. If you want a few ideas, you should check out the following fat bomb recipes. Review the ingredients for each recipe and substitute anything that you want to make your own original snack. A keto cookie dough fat bomb is a great alternative to eating real cookies. They also only contain one gram of carbohydrates per bomb. To recreate the taste and texture of cookie dough, you combine cream cheese, butter, almond flour, sweetener, vanilla extract, and pink salt. You can also add low-carb chocolate chips or any other ingredient that you want to add to your cookie dough. This recipe is the closest that you will get to the taste of real cookie dough on the keto diet. Besides making fat bombs, you can use the cookie dough base for other keto snacks. Keto peanut butter fat bombs provide a healthy dose of fat. You also only need three ingredients. The finished treat tastes like small peanut butter cheesecakes. Peanut butter, sweetener, and cream cheese are the only ingredients that you need for the keto peanut butter fat bomb. It is impossible to mess up this recipe. You may also make your own keto chocolate peanut butter fat bombs. This recipe requires you to use cocoa powder, coconut oil, and sweetener to create a soft, velvety treat. The recipe is a little different compared to other fat bomb recipes. Instead of mixing the ingredients and forming balls, you need to pour the mixture into a mold or tray and allow to harden. The final group of fat bombs to try including keto cheesecake fat bombs. For this recipe, you should use a muffin tray to create the right shape, as the top layer includes a pourable mixture. The base layer is made with cream cheese while the top includes coconut oil, cocoa powder, and sweetener. Keto fat bombs or bars may also be used as meal replacements. However, you may want to include something more than just fat and nuts. For example, there are pizza fat bombs that contain bits of bacon and seafood fat bombs with shredded fish. The basic steps needed to make a fat bomb for a meal replacement are the same. You need a fat base and additional ingredients. Instead of starting with the fat base, you may want to choose the rest of your ingredients first. If you want to combine bacon bits and chicken in a fat bomb, some sources of fat may taste better than others. Jalapeno poppers are perfect for keto fat bombs. They are spicy, creamy, and packed with flavor. With this jalepeno fat bomb recipe, you simply combine the ingredients in a large bowl. The main ingredients include bacon, cream cheese, and jalapeno pepper. You also season it with parsley, onion powder, garlic powder, salt, and pepper. Everyone loves pizza. With this Pepperoni and Bacon Pizza recipe, you can enjoy the same basic flavor of pizza without the carb-filled dough. You just need pepperoni, cream cheese, and several ingredients for seasoning. While the recipe does not call for bacon, you can add chopped bacon to make a meat-lovers pizza fat bomb. In fact, you can add any toppings you want, including peppers and sausage. The buffalo bacon and chicken fat bombs taste so good that you may start replacing all your dinners with them. Cream cheese is used as the fat base. The remaining ingredients include chicken, hot sauce, bacon, walnuts, black pepper, paprika, and cayenne pepper. These are quick to prepare, and you can eat them immediately. However, you should let the cream cheese soften for about 30 minutes before starting the recipe. If you cannot wait 30 minutes, turn on your oven and place the package of cream cheese next to the exhaust burner. It should melt quicker. Fat bombs are easy to make and provide a way to ensure that you get enough fat in your diet each day. If you tend to feel fatigued while on the keto diet, these bombs may offer the perfect solution. When you reach ketosis, your body starts to burn fat for energy. If you’re not getting enough fat in your diet, you may feel tired and sluggish. A fat bomb is loaded with healthy fats to help power you through the day. They are a great alternative to the snacks that you may have eaten at work before starting the keto diet. All you need is a fat base and ingredients for flavor and texture. Mix it all together, roll the mixture into balls, and place them in the fridge. In a few hours, you will have healthy fat bombs to help keep you energized.